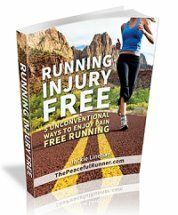 Welcome to our March Newsletter: How to Overcome Fear of Getting Injured While Running. We hope you enjoy this month's article and we hope that it helps you overcome any fear you may experience while running. 3) Have You Tried the ElliptiGO Yet? 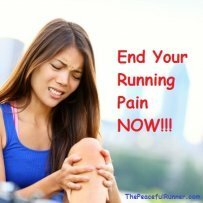 A number of my readers have told me that one of their greatest concerns is that they are afraid of getting injured while running. They are afraid that they will injure themselves and not be able to run anymore. Just having this "fear" by itself can actually cause you to get injured as it creates stress and tension in your muscles. It can also hold you back from achieving all that you can achieve--from becoming the runner that you are capable of becoming. Fear of getting injured can also prevent you from recovering from an existing condition or injury as it inhibits the body from healing itself. Holding fear in your body limits your movements. You are not free to run easily and efficiently as possible and the risk of getting injured is greatly increased. How Can you Overcome This Fear? Learn how to relax your body and keep it relaxed while running. To learn how to stay relaxed when running, we first need to know what it feels like to be physically relaxed. Many people (and I was one of them) do not know how to relax their bodies and let go of tension in their muscles. I have written two articles on this topic and both include practical exercises to help you learn what it feels like to relax your body. Here are the links: How to Relax While Running and Relaxation Exercises for Runners. 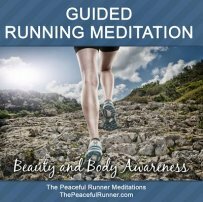 Check out this audio of Positive Affirmations for Running here that you can download instantly. Practice Mindful Running. It will help you stay positive and enjoy running more. Mindful Running will help you stay in the present moment and not worry about something negative that might happen. You will gain more confidence in your running as the fear of what might happen is removed, such as falling or getting injured. Feel gratitude for every run you complete. Don't just think about it. Feel it with your whole body. Feeling gratitude will not only increase your confidence and give you more energy, it will create positive physical changes in your body, such as boosting the immune system and increasing DHEA, the anti-aging hormone. Be kind, gentle and patient with yourself. Allow yourself to take a day off when you don't feel up to running, nourish your body with healthy, whole foods and treat yourself occasionally, i.e. a mid-afternoon nap; a long, relaxing bath; a comforting treat. Have You Tried the ElliptiGO Yet? The ElliptiGO could be the best cross training tool for runners. It is a half bike, half elliptical hybrid which closely mimics running motion and it can be used outdoors. It is a low-impact way to increase fitness. It may be a while though before they become a regular sight on roads. The price tag currently ranges between $1800 and $3500. However, some hotels and bike rental shops in some U.S. cities are renting them by the hour to customers. You can see the ElliptiGO in action here: Is the ElliptiGO the Best Cross-Training Tool for Runners? This dish is very tasty and you can adjust the amount of red pepper flakes depending on how hot and spicy you like it. It only has 4 ingredients so it is quick and easy to prepare. Drain the can of pineapple slices, reserving the juice. Place pork loin chops in single layer in casserole dish and top with pineapple slices. Mix the reserved pineapple juice with the French dressing and crushed red pepper flakes; pour over chops. Bake at 400(°F) for 25 minutes or until chops are cooked through.